Pretend there were no more radio, no more TV, no more print or Twitter, Facebook or coupons, direct mail or robo-calling. Pretend the only way you could win new customers would be via existing customers. And maybe former employees. Could your business sustain itself that way? 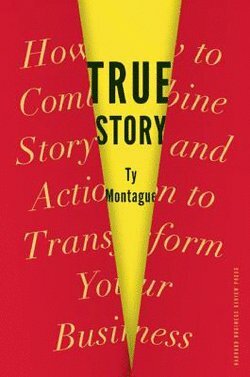 In his marvelous 2013 book, True Story: How to Combine Story & Action to Transform Your Business, Ty Montague draws you a roadmap to make it so. I highly recommend this book for anyone who believes in creating lifelong relationships with customers and employees. SIDENOTE: Montague’s no johnny-come-lately to the marketing world. An excerpt from his bio: Creativity magazine has named Ty one of the 50 most influential creatives of the past 20 years, Advertising Age named him one of the Top 10 Creative Directors in America, and Fast Company magazine named him one of the Top Ten Creative Minds in business. In True Story, Montague asks you to step back from marketing and communications as Mad Men would fashion them. Instead, ask yourself: What are the observable truths about our organization? Do these truths attract or repel customers? When folks think about our organization, do they want to befriend us, emulate us, ignore us or scorn us? In a world where our purchases are increasingly public (yes, Facebook really does know what you searched for on Zappos last night – sorry! ), our purchases say something about us. When your customers purchase something from you, or donate to you, or recommend your services to a friend, how do you make them look? Montague asks a lot of uncomfortable questions – and cites a boatload of inspiring examples – that point the way for transforming your business into the friend your customers want to be seen with. Participants: Who touches your business? What do they think of you? How do you know for sure? What do they want in life and how do they express this to the world – and how does your organization fit into that aspirational story? Go beyond what you hope these folks see in your business. Ask others to engage with your business and report back; talk to existing customers and ask for their candid feedback; shadow some of your customers as they interact with your products or services. Get the real story, and don’t shy away from the problem areas: they may offer the most opportunity. Protagonist: What is your organization’s story today? What are your unique capabilities and culture? 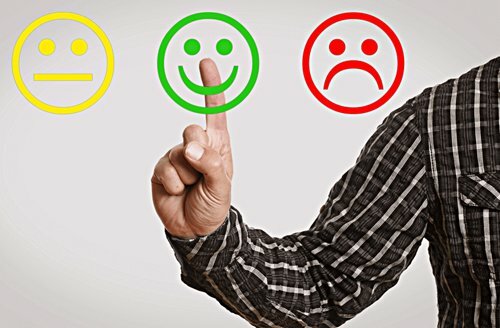 This is the inward-looking side of the “Participants” survey – where are the weaknesses and strengths in your financial situation? Your operations? Donor relations? HR? Does everyone understand the organization’s mission, its decision-making process, its opportunities? Is there a shared wisdom or shared disdain internally? Use insiders or hire outsiders who can gain trust and will tell the truth about your culture. Stage: What world does your business inhabit? What disruptors are on your radar now? Are new technology, competition, business model questions clearly defined and part of the regular planning discussions for your executive staff? Would your non-executive employees or customers identify threats to your business that you may be missing? Quest: What is the contribution to the world your organization can make? What is its greatest purpose? How is the business influencing others’ lives in a positive way? What is the enemy you, your employees and customers are trying together to conquer? Once he’s taken you through these assessment exercises, Montague offers an Action Map – questions that help you decide where to start to reorient your business away from marketing-as-storytelling, toward “storydoing.” Find the customers and employees who want to solve the same problems as you – and inspire them to build lifelong relationships with your organization and its cause. This book will help you figure out how – read it today.